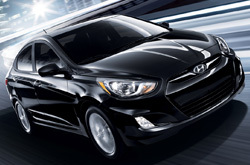 We encourage you to scroll past the YouTube video located below to read a full review of the 2013 Hyundai Accent. It's hard to find the hard facts all in one spot. Van Hyundai arranges these reviews so you have the best resources from the best writers. To make familiar decisions when it comes to your next Hyundai Accent purchase, don't guess! Each paragraph is bundled with facts and Accent features in way that's easy to understand. Good luck on your Accent search! Compare the 2013 Hyundai Accent head-to-head with vehicles like the 2013 Toyota Yaris, Mazda2, Nissan Versa, Ford Fiesta and the Chevrolet Sonic, and you'll find that the Accent outperforms the competition in many areas. Look through our Quick List below to find out why! 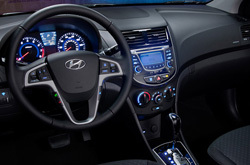 To get your Hyundai Accent worked on by superb service techs, you don't need to look far. Our Dallas auto service center is a quick commute away and we offer a lengthy warranty on every job. Your Hyundai will stay in excellent form with assistance from the skilled auto repair squad at Van Hyundai's service unit. Whether you come for speedy inspections, a straightforward air filter checkups or anything else, we'll complete your Hyundai repairs with ease. For affordable, tried-and-true Hyundai car repair in Dallas, the first place you should take your Accent is Van Hyundai. Find out how much you can save on your next service! Just follow the link below.